PUNTA GORDA, FL. 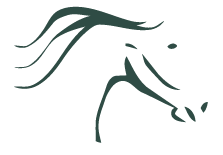 (Thursday, Feb 27, 2017) – SOUTH WEST FLORIDA HORSE RESCUE, INC. (SWFHR) today Greatnonprofits.org announced that SWFHR has achieved the 2017 Top-Rated category. GreatNonprofits is the leading platform for community-sourced stories about Nonprofits. These stories are submitted by people who are clients, donors, volunteers, and others, all those who have experienced the impact of nonprofit work up close! In order to be awarded the Top-Rated Badge, SWFHR was reviewed by a minimum of 10 different users and all had to be favorable on their profile page on www.greatnonprofits.org. ABOUT GREATNONPROFITS: Helping inspire and inform prospective donors and volunteers. Helping them differentiate between nonprofits, finding ones that they trust, and to encourage the community to be more confident in giving or signing up to volunteer. Visit https://greatnonprofits.org for more information.